Peripheral arterial disease, or PAD, is a common condition found in the circulatory system in which the flow of blood within the arteries has been restricted. 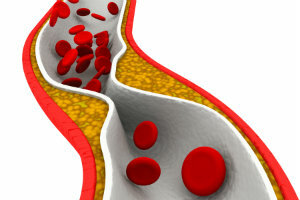 As the arteries are the main vessels responsible for distributing oxygen- and nutrient-rich blood throughout the body, the narrowing and blockage that can be part of the disease, and make it more difficult to provide parts of the body with enough nourishment. The feet often particularly suffer from the effects of peripheral arterial disease, as your blood needs to make quite a journey to reach this part of you so far from your heart. Peripheral arterial disease usually builds up over a long time as plaque (made of cholesterol, fat, and other substances) gradually forms along the walls of arteries. The inner walls of these vessels are normally smooth for optimal blood flow, but plaque buildup creates rougher surfaces on which more plaque can catch and attach. As blood flow decreases in efficiency, the effects of PAD begin to become noticeable in the body. The first symptom of poor circulation is often pain or cramping in the legs that develops during activity. Known medically as intermittent claudication, the discomfort tends to disappear upon rest. The cause for this may be easy to figure out: increased activity causes the muscles of the legs to require more blood flow for support, but narrowed arteries are unable to provide for this demand. When you rest, the muscles require less support and are more easily managed by the circulatory system. Sometimes, however, the disease will have not yet exhibited any symptoms and may first be discovered through testing. If you have any of these risk factors, it’s important that you talk to a doctor. Even with minor PAD symptoms and minimal risk factors, monitoring this condition so that it does not worsen over time is critical to your long-term health. The good news about PAD is that, while it can cause some major problems if left unchecked, treatment is often rather straightforward. The goals of proper care are to first manage the symptoms of the disease, such as foot and leg pain. This then helps support the second goal: stopping the buildup of plaque and reducing the risks of further trouble. Lifestyle changes can go a long way toward turning things around. Habits such as a poor diet, lack of exercise, and smoking all contribute to peripheral arterial disease. Addressing these issues often helps a great deal. Although exercise may be painful at first due to intermittent claudication, sticking to a recommended program will begin to yield less pain and better results as the body adjusts itself to require less oxygen. If other conditions such as high cholesterol and diabetes are also contributing to the condition, then proper treatments and medications to manage them may also be necessary. If poor circulation has been affecting your feet, the podiatrists at Martin Foot and Ankle can provide expert care and advice to not only treat any problems that have arisen with healing measures, but also keep your feet in a safe, comfortable condition while you work toward better overall health. Our offices in Hanover, York, and Lancaster are ready to hear from you. Just call (717) 757-3537.